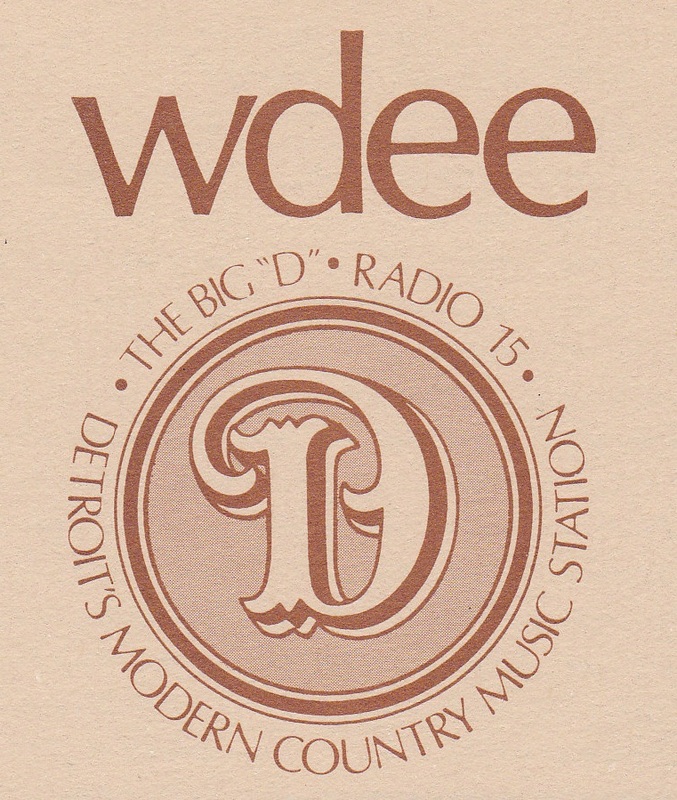 WDEE in Detroit ("The Big D", 1500 AM) was a prime specimen of the sophisticated brand of MOR/country hybrid station that began populating the early '70s airwaves. 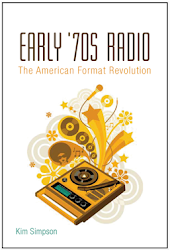 The station launched in 1969 with 50,000 watts, stacks of research, personality DJs with Top 40 pedigrees, a program director with a Master's in communication, and call letters that wise-cracking competitors said stood for "we've done eveything else." The chief competitor, in fact, was WEXL, which had been the Detroit area's most powerful country station since the early '60s. WEXL opted to counter WDEE's assault by sticking to its guns with an old-fashioned rural approach to country programming (Ernest Tubb and Kitty Wells were name-dropped in a 1970 Billboard article about the station). By 1974, though, WDEE had officially squelched WEXL, which had gone gospel that same year. Although WDEE survived until 1980, the early '70s were its glory years. This is when it began airing Fem Forum with Tom Dean, a replica of Bill Ballance's Feminine Forum at KGBS in San Diego, which introduced a racy style of call-in talk show for housewives that caught fire at MOR stations across the US and eventually got in trouble with the FCC. Dean's show, nonetheless, managed to stay afloat during the station's entire lifespan. A sales promo for the station, featuring innuendo-riddled dialogue between a Texas businessman and an effeminate male secretary voiced by McLean Stevenson, gives a vivid impression of this new breed of country station's very adult orientation. It also reveals the station's lineup (Deano Day, Dave Williams, Mike Scott, Tom Dean, Bob Day, and Don Thompson) and indicates that a WDEE promo album circa 1972 would perhaps include the following songs: "Okie from Muskogee" (Merle Haggard), "By the Time I Get to Phoenix" (Glen Campbell), "When You're Hot You're Hot" (Jerry Reed), "Hello Darlin'" (Conway Twitty), "Rose Garden" (Lynn Anderson), "Early Mornin' Rain" (George Hamilton IV), "Make the World Go Away" (Eddy Arnold), "Only the Lonely" (Sonny James), "Folsom Prison Blues" (Johnny Cash), "Stand By Your Man" (Tammy Wynette), "Kentucky Rain" (Elvis Presley), and "Help Me Make it Through the Night" (Sammi Smith). 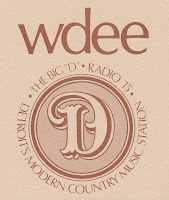 I started listening to WDEE in January 1970, and thoroughly enjoyed the music, the DJ's and the station promo spots. One such spot was (Singing) "The BIG DEE-EE!" And one ending with: "May the Bird of Paradise fly up your nose, W-D-E-E, The Big Dee! I was listening on the radio when the station phoned my grandmother, who had no idea what was up, in their Cash Call Jackpot game. You guess correctly and the pot is reseeded at $15.15, and is raised with each incorrect guess, as I recall by increments of $15.00. I left Detroit in 1975, never again to be surrounded with such humor.